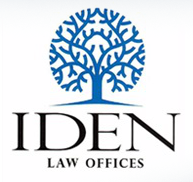 Iden Law Offices provides practical, efficient and creative solutions to address our clients' legal needs. Legal matters can be confusing and intimidating for both our corporate clients and our individual clients. Our role at Iden Law Offices is to help our clients understand complex legal principles and issues so that they can make the best choices for their particular needs. At Iden Law Offices we strive to develop a relationship with our clients which extends well beyond the particular legal matter at hand. Most of our work comes from long term clients and their referrals. The relaxed and informal office atmosphere is a reflection of the ethos of our attorneys and staff: excellence without arrogance. Establishing an estate plan is one of the most important steps you can take to protect yourself and your loved ones. Proper estate planning not only puts you in charge of your finances, it can also spare your loved ones of the expense, delay and frustration associated with managing your affairs if you become disabled and after you are gone. At Iden Law Offices estate planning is not done for you, it is done with you. Our approach is simple; you teach us about your family, we teach you about the law, and then together we create an estate plan that really works. A plan that will be tailored to meet the unique circumstances, challenges and opportunities present in your life and in the lives of you family and loved ones. Our goal is to give you peace of mind. We help families plan for life, deal with death, preserve wealth, and protect inheritances. Iden Law Offices is equipped with the most cutting-edge research, analysis, and technology available. By actively listening to our clients, our attorneys create and administer highly personalized plans that reflect our clients' own unique situations. It's not just the law, it's how the law affects you! We routinely represent clients in the areas of: Estate Planning (including the creation of Wills and Trusts and the special issues involved in Planning for Young Children); Incapacity Planning (including the creation of Advance Directives such as Durable Powers of Attorney and Health Care Directives); Special Needs Planning and use of other Advanced Planning Tools; Estate Administration (including Probate and Trust Administration); and Business Succession Planning. We also assist young adults by providing advanced directives to authorize their parents' access to key information at times of crisis (through our College Kit). Estate planning is a combination of the rational mind, which knows what to do with information, and the compassionate mind, which teaches and listens. An estate planning attorney should never lose focus on these principles. We only get one chance to plan our estates and how we plan our estate will have a profound impact on our families and the ones we love. Each family has different needs and different concerns. It is important that your estate plan is designed for your particular family situation. As a client, you have the right to expect your estate planning counselor to always strive to help you identify your greatest hopes, fears, dreams and aspirations for both yourself and your family. 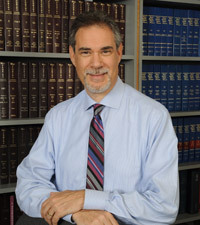 Bruce F. Iden is the president of Iden Law Offices and has been practicing law in Florida since 1981. Mr. Iden received his B.A. from the University of Michigan in 1977 (graduated with honors, distinction in Psychology). Mr. Iden earned his law degree (J.D.) in 1981 from the George Washington University National Law Center in Washington, D.C. and continued his legal education at the University of Miami School of Law where he received a Masters of Law degree (L.L.M.) in taxation in 1982. As a member of Wealth Counsel, Mr. Iden's approach to serving the needs of his clients is shared by hundreds of network attorneys throughout Florida and the United States. Wealth Counsel has also adopted a proactive, creative, and counseling centered approach to Estate Planning. In addition to Estate Planning, Mr. Iden's law practice concentrates in the areas of real estate transactions, commercial transactions, and general business law. An agent of Attorneys Title Insurance Fund, Inc., he has represented clients in transactions and/or issued title insurance policies with a total value in excess of $400 million dollars. Mr. Iden is admitted to practice in all Florida courts, as well as the U.S. District Court for the Southern District of Florida, U.S. Tax Court, and the U.S. Court of Appeals for the Eleventh Circuit. He has received the highest rating available (AV) from the nationally recognized Martindale-Hubbell Law Directory. Mr. Iden is an Adjunct Professor at Florida International University where he teaches courses in Wills, Trusts and Estates, Real Estate Law, Business Law, and the American Legal System. He is a member of the Miramar Cultural Arts Board . Mr. Iden was born in Detroit, Michigan in 1955, is married to Lee P. Iden, and they have three children and three dogs. The Idens have resided in Davie, Florida since 1989.